The relaxed Fairways Café serves contemporary light meals, high tea, snacks and refreshing drinks in modern surroundings in the café, on a covered terrace or in the garden. If you’ve been working up an appetite on the resort’s 9-hole golf course, mountain biking in the park or sailing on Lake Taupo, then you can order a great selection of snacks and finger food that combine essential flavours from around the world. If you feel a thirst coming on after an exhilarating jet-boat ride on the Waikato River, a pit-stop at the Fairways Café or 19th Hole Bar provides the perfect opportunity to relax with a glass of something cold or a coffee prepared by one of our expert baristas. Check out our full menu here. For reservations, please contact us at 07 374 9647 | 0800 737 678 or simply email us. 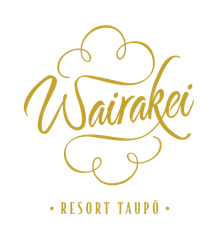 Wairakei Resort’s Afternoon Tea marks a decades-old tradition of meeting with friends and loved ones for finger sandwiches, delicate sweet and savoury treats and gourmet fresh teas or espresso coffee. And if you’re feeling up to it, why not upgrade yours to include some bubbles? Over the winter months Afternoon Tea is served in our warm and cosy Pavilion Restaurant, while over summer you can choose to enjoy this in Fairways Café or outside in the beer garden. Reservations highly recommended so please book ahead by calling 07 374 9004 l 800 737 678 or simply email us to avoid disappointment.